Gold is more valuable than silver and copper, but by how much exactly? And how do these metals compare to more common elements like aluminum and iron? 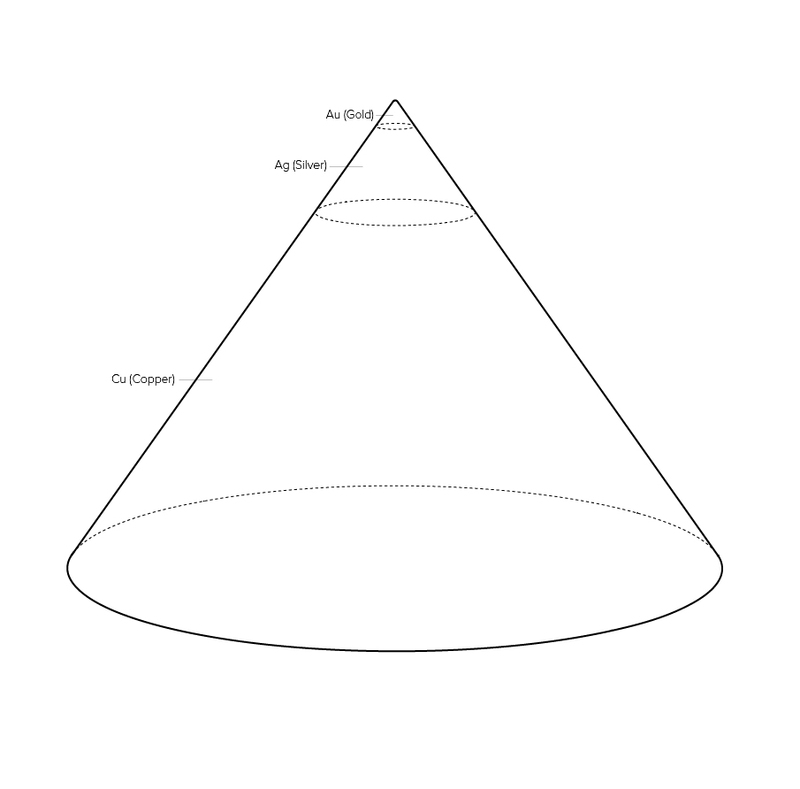 Note: This pyramid was modeled in SolidWorks using precise volume measurements. The dollars per gram measurement was translated to grams per cubic centimeter. It is important to recognize that the pyramid shows value according to volume, not elemental mass. When we zoom into the top three elements (gold, silver, and copper) we can see the value discrepancy more clearly. The human brain has difficulty estimating the volume of non-rectiliar shapes. Because this is a pyramid, it can be easy to underestimate the volume difference between the top and bottom. 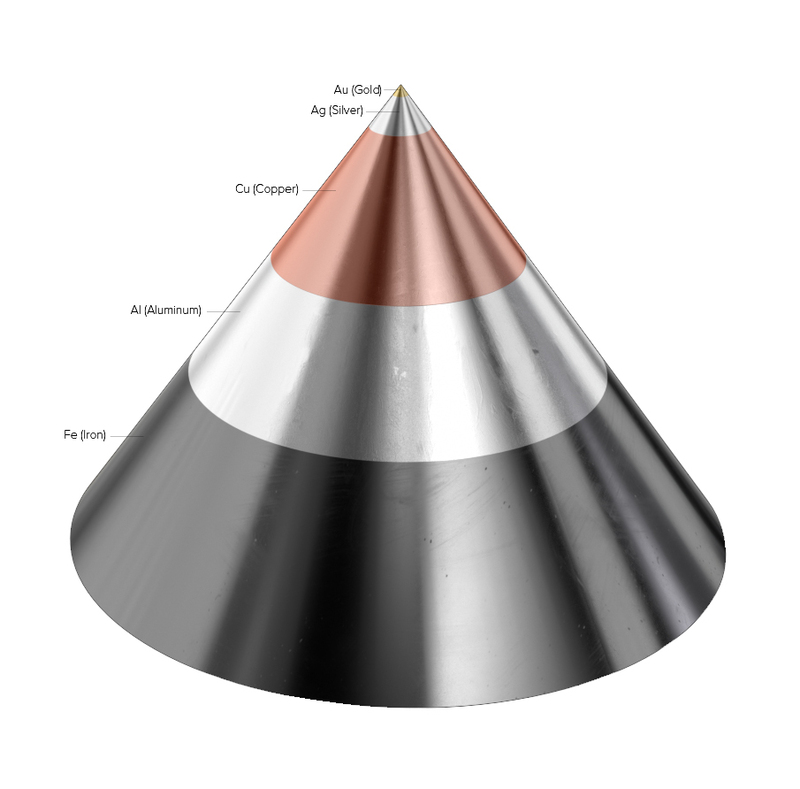 The reason to use a pyramid instead of a pure cylinder is that the gold layer would be too thin to see if were spread across the top surface of a cylinder. The advantage of a pyramid is that it compresses the smaller top layers, while flattening out the larger bottom layers.